With great power comes great responsibility, no? No. Not in Tasmania, it seems, where through the example of the Sue Neill-Fraser case, we see the State’s legal apparatus shown up to be anything but responsible. Police abuse their powers, the DPP dismisses DNA evidence and the leaders of the Government ignore vital new information. When police raided Sydney production company CJZ in November 2018, they collected over 500 hours of raw footage which investigated the disappearance and probable murder of Bob Chappell. 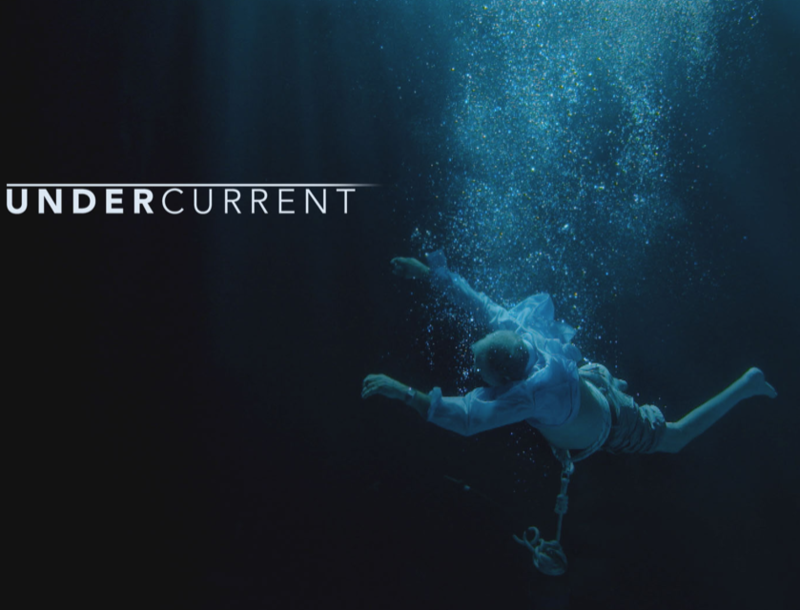 The raw material was edited into the 6 episodes of Undercurrent on the Seven Network (except in Tasmania) from January 30. The raid was intended not to discover any new evidence but to find the filmmakers in an act of perverting justice. Producing the series was Eve Ash, who says she “felt violated … and worried for the people who we had given our word to protect…who had given us confidential information. I was frightened for the safety of our own team. Why did they need hundreds of hours of my work? Why didn’t they do their own work? And why didn’t they thank us for the work we had done. I was also shocked that three of my staff were contacted by TasPol, and one of them was visited by a TasPol officer – at their home in Melbourne.” Some people might consider that to be intimidation, given the circumstances. The police demanded all the footage shot by Missing Man productions (Eve Ash’s company), who worked with CJZ Productions on Undercurrent. How did they know about it? Phone taps. Who authorised that process? On what grounds was a warrant issued? On what grounds was the footage seized? “Surveillance and secret phone tapping of a film crew, seizing 500 hours of film footage? 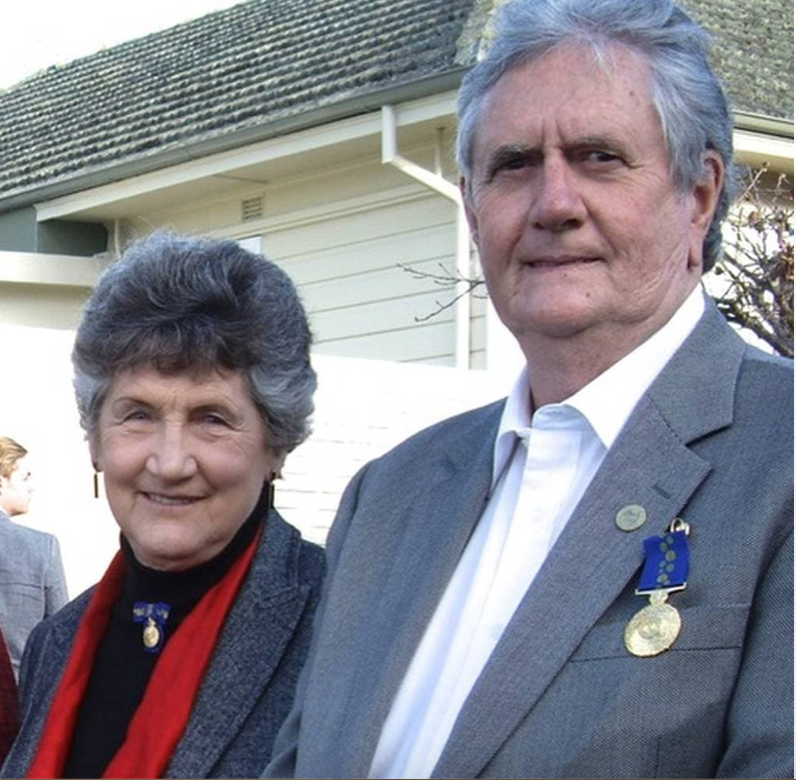 Civil Liberties Australia believes the underhand purpose of this police bastardry is to try to protect Tasmania police’s own reputation,” says Bill Rowlings, CEO of Civil Liberties Australia (below, with CLA President Dr Kristine Klugman). “Their actions meant witnesses could no longer give their planned evidence freely and fairly in a Supreme Court appeal case; the police misbehaviour resulted in the threat of criminal charges hanging over witnesses and potential witnesses. “We think TasPol has itself perverted the course of justice by its latest ploy,” Rowlings says. “It should – and must – be for a Supreme Court judge to decide whether the affidavits and evidence given by a witness is reliable. The police have no place misusing their powers, and abusing the intrusive search warrant process, by manipulating the law maliciously to their own ends. “In this case they have usurped the right of the court to decide truth. I believe police have acted this way because the competence and reputation of the police themselves would be at serious risk if witnesses had been allowed to give their evidence free of intimidatory police behaviour. 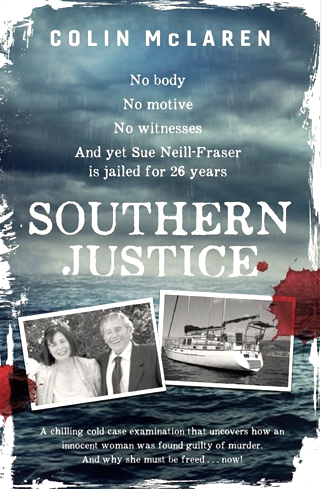 “The Sue Neill-Fraser case is crying out for a full, open and public state inquiry. When that happens, TasPol misfeasance, malfeasance and nonfeasance will be exposed to Tasmanian citizens. Everyone will be shocked by how badly they have been let down by their own police force, and by what I believe is twisted manipulation of the legal system, the prosecution office, the courts and even some of the media to try to salvage their reputations over a botched investigation a decade ago,” Rowlings says. The police have been joined in their efforts to hide the truth not find it in the case of Sue Neill-Fraser, by key players of Tasmania’s legal establishment. The Tasmanian politicians responsible for providing oversight of the administration of the law are shown to be failing miserably in their responsibility. Author Colin McLaren discovered this while researching his new book, Southern Justice (Hachette). He writes: “Naively, I compiled a dossier of over fifty pages, highlighting the flaws in the investigation and the mountain of missed evidence. I thought Tasmania’s head lawmakers might welcome having this debacle brought to their attention, and perhaps undertake a fresh and independent investigation. “But once my dossier was handed to those in power, they did not accept it. Those high up in the police and political hierarchy ignored what I had found,” writes McLaren, a book in which he often reveals his anxious state of mind, his deeply felt concerns for Neill-Fraser, her family and key witnesses – and his worrying heart condition, not helped by being hunted for seeking the truth. “In 2017, the police were applying pressure to those who dared have a different opinion about the death of Bob Chappell,” he writes. “Their adversarial thuggery was at its height towards the later part of the year, when they alleged that our interview with (key witness) Meaghan (Vass) in the hotel room in Hobart had been filmed under duress. The claim, accompanied by a not so subtle threat, was first made in a letter to her lawyer. The tragedy is that these disturbing failures of our adversarial system are so well known they are even documented for law students. For example, in the study book, Criminal Laws in NSW(The Federation Press), there is an incisive exploration of the underlying issues, in a section titled The Adversary System and the (In)Visibility of the Pre-Trial Process. In the introduction, it states: Courts have traditionally been reluctant to enforce duties of disclosure, ethical duties of fairnessand otherwise ‘intervene’ in what is described as the largely discretionary accountability mechanisms which affect the conduct of the police and the prosecutorial functions. That, surely, is a very disturbing aspect of our legal system. The real source of difficulty lies in the effective control police exercise over the prosecution process. Police are required to fulfil both an investigative role – seeking to inquire into criminal events to establish what happened – as well as an accusatory role – gathering evidence which will secure a conviction against a person or persons who they have decided is responsible for a particular crime. Michael McConville, in an article written soon after the Guildford Four were released, lucidly describes the mechanics of the British justice system that inevitably produce miscarriages of justice: … ‘the effects of many of these police decisions and practices in the pre-trial process will not be apparent to the defence or the court. It will often only be as a result of a royal commission or other official enquiry that they will come to light.The adversaries in this process command wholly unequal resources: the authority and resources of the state (primarily the police) are pitched against those of individuals of usually less than modest means. These matters referring to police investigation culture are at the top of the list of reforms that are needed to ensure a fairer system of criminal justice, to help reduce the incidence of wrongful convictions. Unfortunately, there is no evidence that any elements of the legal system are prepared to engage with serious reforms. They are – literally – a law unto themselves. They must not abuse that power. An area of particular interest to me in this case is the Tas POLICE SUBJECT REPORT, which is the final document handed to ODPP, after exhaustive investigations (on the face of it) are completed, over-sighted and ticked off, by senior Tas Police. Maybe someone legally has obtained this brief through RTI? My specific curiosity would go to comparing the finer detail in this report with the prosecution case as presented at trial. Without knowing specifics in this case, what can happen after a final report is handed over to the prosecution office, history suggests that if weaknesses in the case are identified, then a search, legal or otherwise, for a way around the unfavourable bits happens. The Crown as the Model Litigant guidelines are bypassed/disregarded in this exercise. As a personal friend of Sue’s I am devastated that she has gone through such travesty. I too never expected our legal system to be anything other than just – What a shock when you find out its not! I hope that the efforts of so many achieve the desired results and not only see Sue rightfully released, but I am confident there will be other also! Louise I add — and the wrongdoers held to account. That is serious account, to your, “… and not only see Sue rightfully released”. It really sickens me that the police in Tasmania did not follow through with more investigations when doubt was obviously shown. Tasmania is not another country other than Australia. They are not a law unto themselves. I really praise Eve Ash and her team for doing the investigation that the Tasmanian police didn’t bother doing and I will certainly be viewing the Bob Chappell series. The point that they won’t let it be shown in Tasmania only leaves me to the conclusion they don’t want the people who live in Tasmania how inept and unfair the Police Force are there. I am so lucky and grateful I do not live in Tasmania. Nola, I don’t know for sure yet my feeling about the current embargo on showing series in Tas is because of legal reasons and possible contempt. I could be wrong though. You write, “I really praise Eve Ash and her team for doing the investigation that the Tasmanian police didn’t bother doing …”. I not so sure that all details/evidence Eve Ash-et-all uncovered was not known to police because of tardiness. My belief is that some was known and deliberately became unknown or lost. It was filed in the ‘mental drawer’ in order to proceed with preferred patterns/charges. That is not a new Tas Police activity. Then, if found out, the claim is they stumble on it through serendipity in some unused locker or draw in the backroom. Pfffttt! Feeling so very, very enraged and justifiably, I shared this post and added the following comment. Each time — during last week’s XXN of Colin McLaren in Supreme Court, when the prosecutor handed up (as an exhibit) a Crown produced USB containing a cherry-picked section of film clip from film as seized, I too felt Eve Ash’s sense of violation. Although I was unaware of how Eve might have felt, my personal standards led me to feel an immense sense of transgression. Each time — I was distracted by the invasions of civilians’ privacy, and the systemic failure and disrespect of others’ rights. Each time — I felt alarmed that Police and/or ODPP, in desperation attempted every which way to shut-down what had slowly but surely become a self-created scandal rapidly moving out of their control — something they had directed and manipulated from 27th January 2009. Each time — I experience strong emotions in my gut. Feelings of disgust and validation of my long-held understanding that justice is not available unless it suits the system modus-operandi. Each time — my feelings of disgust and revulsion for and about, the ‘players-in this-game’ were re-aroused; how dare they play horrible games with people’s lives, and, livelihoods. Each time — I was further provoked to never give-up until the Tasmanian [in]justice system is exposed for what it is — a sham and travesty. Each time — I felt like choking as I recall the repeated claims in ODPP Annual Reports about Tasmania being a signatory to the national policy/guidelines — THE CROWN AS THE MODEL LITIGANT. Rhetoric and more rhetoric. Strewth! How can this be? My travelling companion and I came home with heavy hearts and deep concern about the state of fairness and justice. I suspect numerous other witnesses to the court shenanigans, dishonesty and manoeuvring] felt likewise. Although it is not up to me, I can but personally apologise to Eve Ash, and her team together with those who risked and continue to risk much in order to see justice done. I am sorry, truly sorry.